I made a limited run of these a couple years back. Thinking of re doing the headsculpts. Those are very cool. 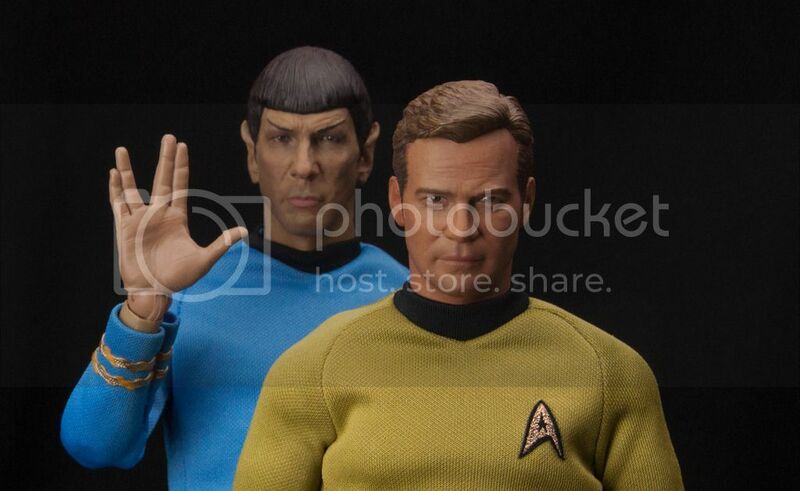 Especially the Spock sculpt. Btw, the Uniforms were made basing on a 1:1 pattern. The Phaser and Communicator utilize magnets to attach to the pants. Also the phaser is a two parts unit, phaser 1 and phaser 2 housing; also attached together by magnets. Exquisitely done. 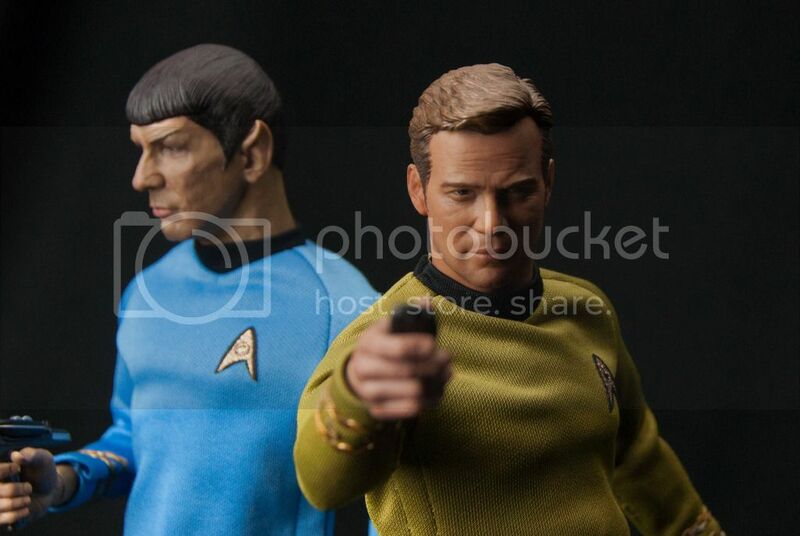 Fine craftsmanship- I'd swear that clothing on Mr. Spock was fitted. Holy Crap! That looks fantastic! I love the dramatic pics too!